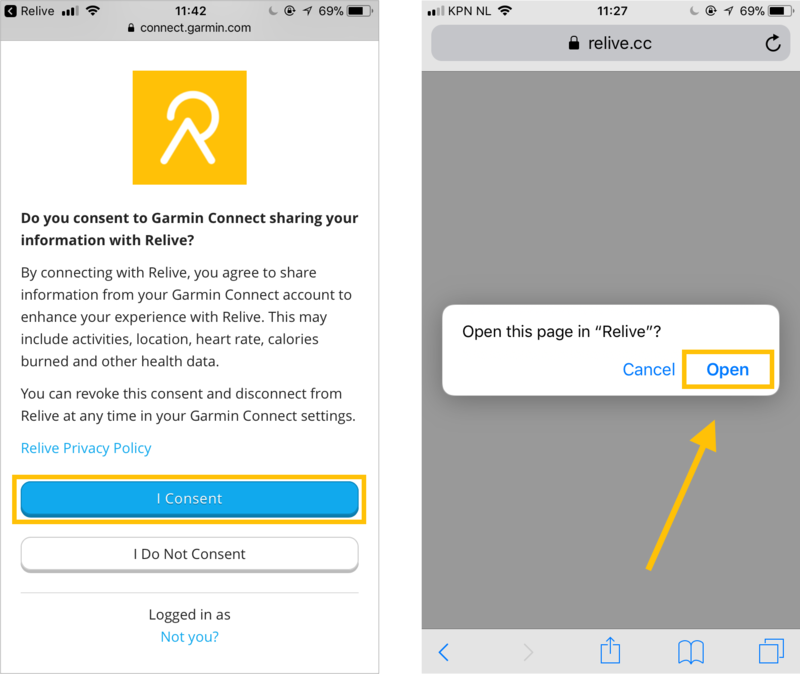 After connecting your Garmin Connect account to Relive, your future Garmin Connect activities will automatically appear in the Relive app. Please make sure your Garmin Connect activities are public (in privacy settings choose: My Connections). From there on you can create your videos in the Relive app. 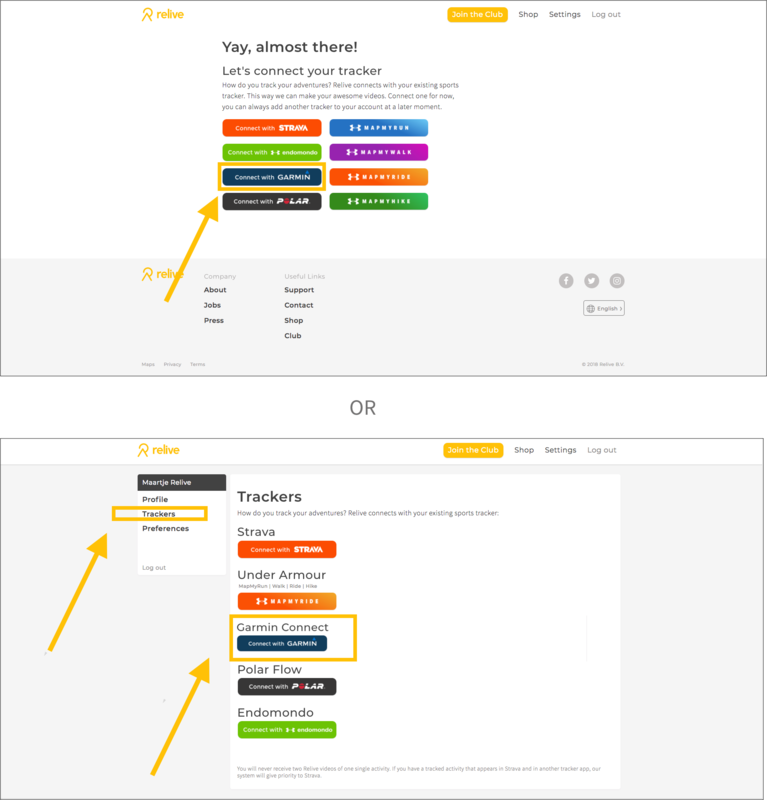 Choose for 'I Consent', Open in Relive, and your account is successfully connected! 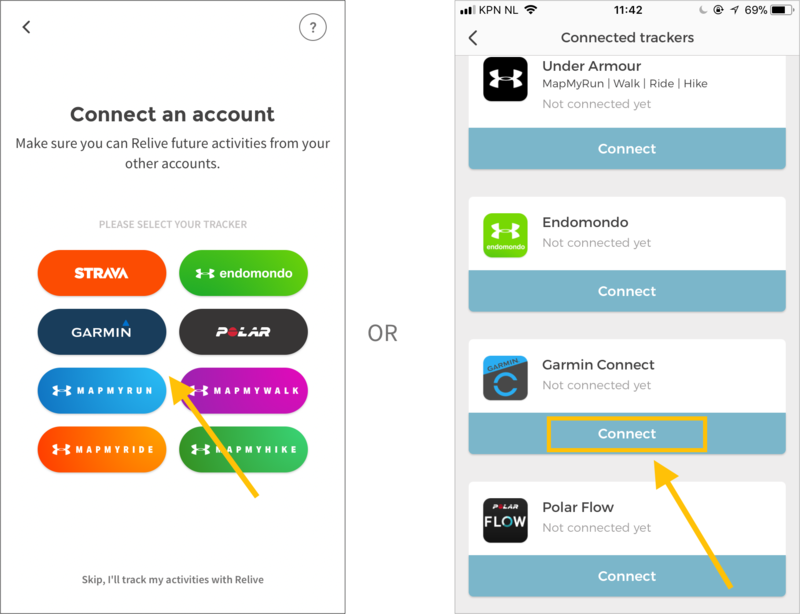 Log in to your Garmin Connect account and your account is successfully connected!